Full buff willow oval hand crafted childrens lidded hamper with handle and gingham cotton lining. 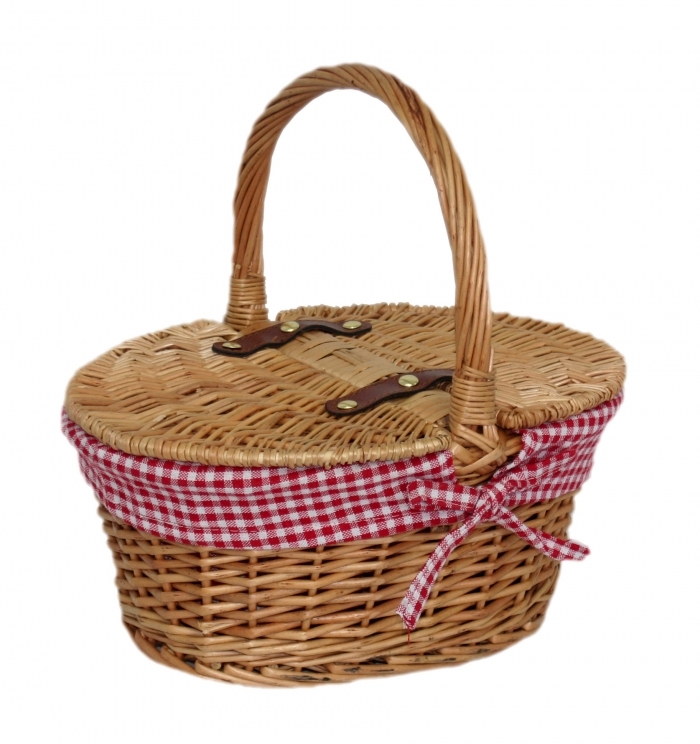 The dimensions of this lidded hamper are 290 x 220 x 150mm with handle 280mm. Ideal for the retail and catering environments, fully assembled to create your perfect merchandising display. 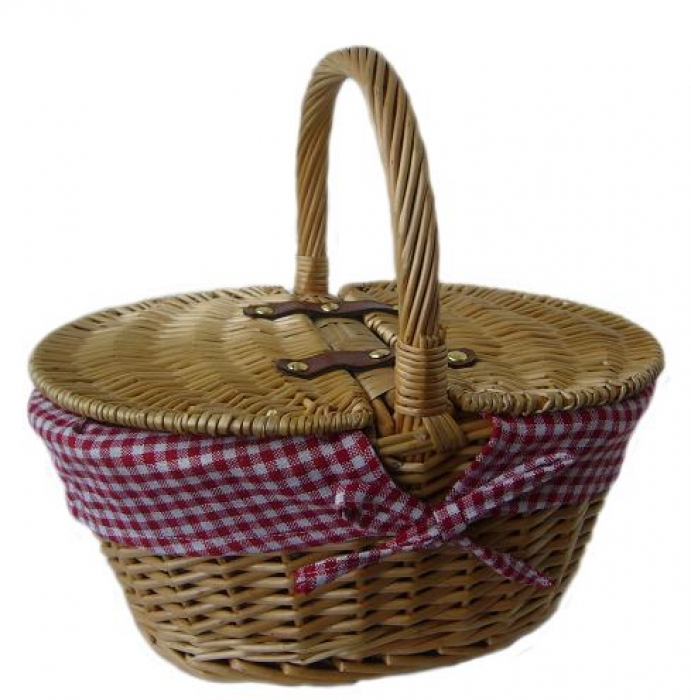 For those looking to provide a hand crafted picnic basket or hampers as a gift then our basketware not only are great value for money that would compliment any food retailer but are also ethically sourced of great quality.